I love this Simply Said Crazy stamp set by Avery Elle. It includes versatile sentiments for so many occasions. Eleven clear stamps. The ‘Crazy’ stamp coordinates with the Simply Said Crazy steel die cut – but the die can also be used alone. 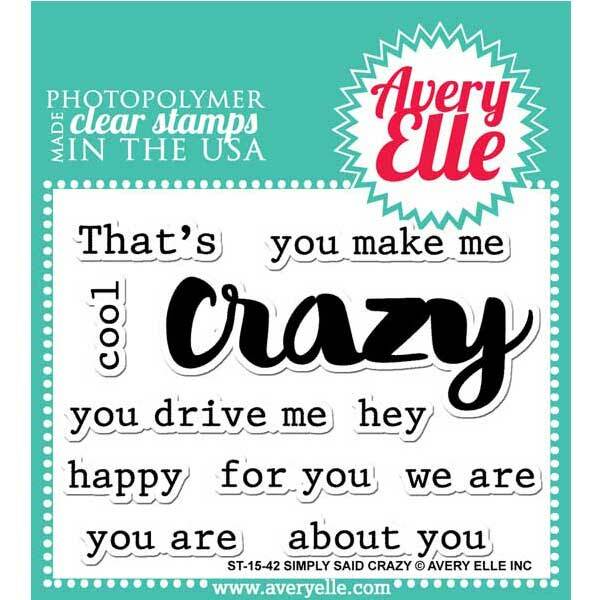 I love this Simply Said Crazy stamp set from Avery Elle. It includes versatile sentiments for so many occasions. 11 total stamps. Crazy sentiment measures : 2 1/2″ x 3/4″ ; You Are sentiment measures: 1 1/4″ x 1/4″. This stamp set coordinates with the Simply Said Crazy steel die cut.